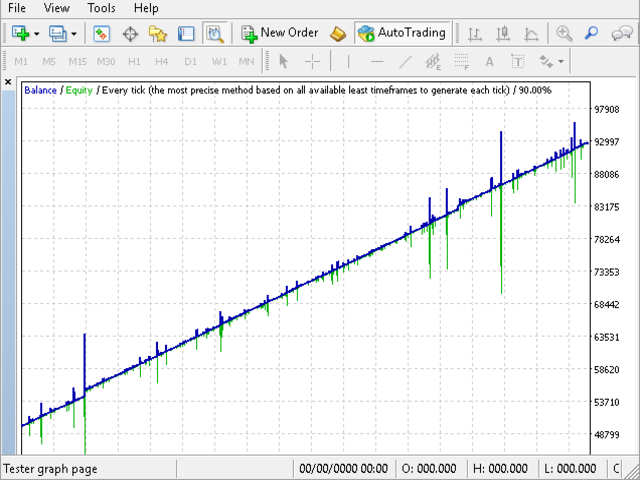 Rebatetrade is an automated Expert Advisor. It opens the first two opposite orders. Depending on the direction the price moves relative to the first two orders, the EA places a grid. When the price reverses, the EA closes the entire grid. 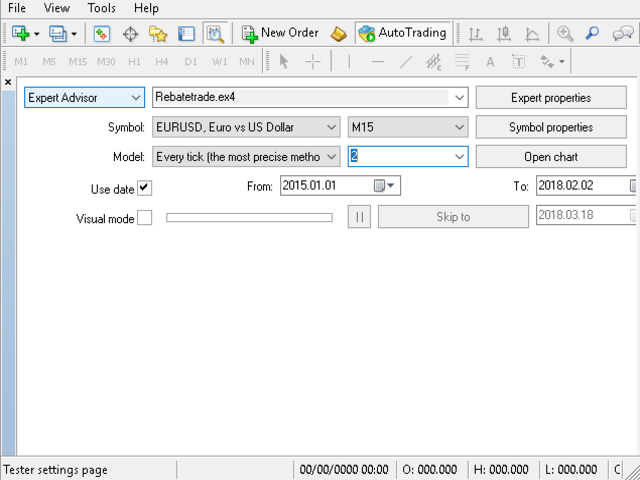 Rebatetrade has been tested from 02.01.2015 to 02.02.2018 on an account with 50000 cents. 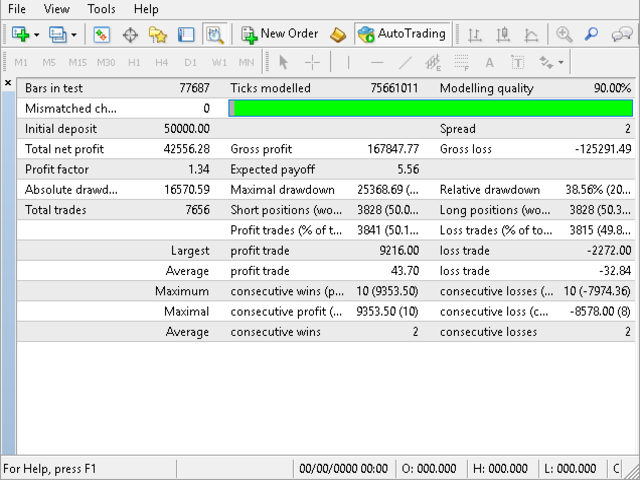 Close_All_Profit - take profit for closing the entire grid. Lo sto provando da alcuni giorni in live e sta dando risultati buoni, risultati giornalieri, secondo me manca solo uno SL totale per evitare grosse esposizioni.